Have a new product design or idea? As difficult as it is to conceptualize or design a new product, the real challenge lies in bringing your idea all the way through to market release. 1. Who can help you make prototypes and design the safest product possible? 2. How do you navigate the heavily regulated ophthalmic industry? 3. How do you want to approach the market? Direct sales or distributers? Peregrine can answer each one of these questions, working with you to determine the best result possible. We work with experienced engineers, employ talented regulatory personnel, and have business relationships with sales representatives as well as the largest suppliers to the market. All product development is performed to the satisfaction of the USA Code of Federal Regulations Title 21 and ISO 13485, as well as Peregrine Surgical's internal quality standards. Don't navigate something you may not have experience with. Contact Peregrine Surgical to discuss your options. An existing customer approached Peregrine Surgical to develop and bring to market a new chandelier illuminator. Demonstrating glare from exposed fiber. 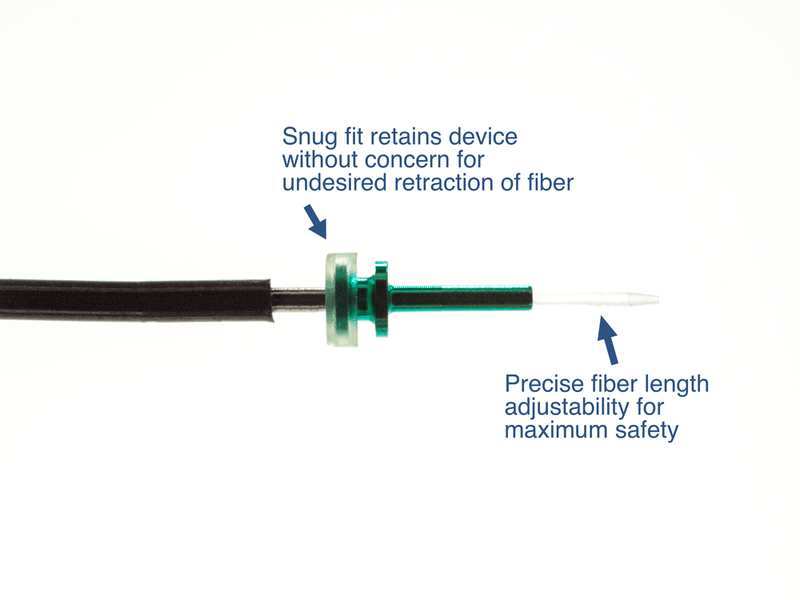 Existing Intellectual Property - Existing products on the market required Peregrine Surgical to develop unique and creative approaches to navigate around protected features. Materials - Desired features of the Adjustable Chandelier Illuminator forced Peregrine Surgical to utilize compatible materials in order to achieve design goals. Components - Keeping market price in mind, critical components were designed while taking into account function, benefits, and costs. Validations - Like most developments, initial verifications and validations necessitated revisions. The result is a high quality, unique Adjustable Chandelier Illuminator. Demonstrating reduced glare from covered fiber. The result of this product development is a unique, marketable medical device that takes into account customer requirements, existing intellectual property and user feedback. 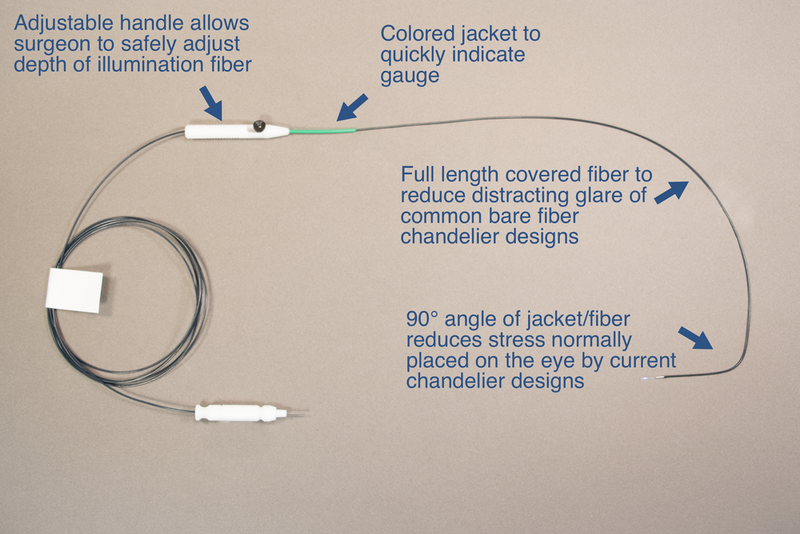 The Adjustable Chandelier Illuminator is a reliable, patent pending device that better serves the needs of surgeons in terms of safety and functionality.